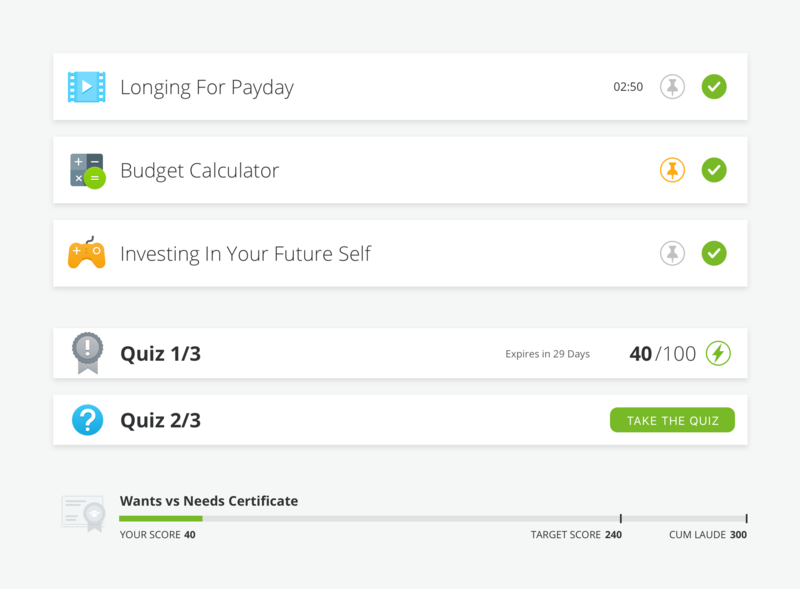 The tool that helps you make the most of your money. 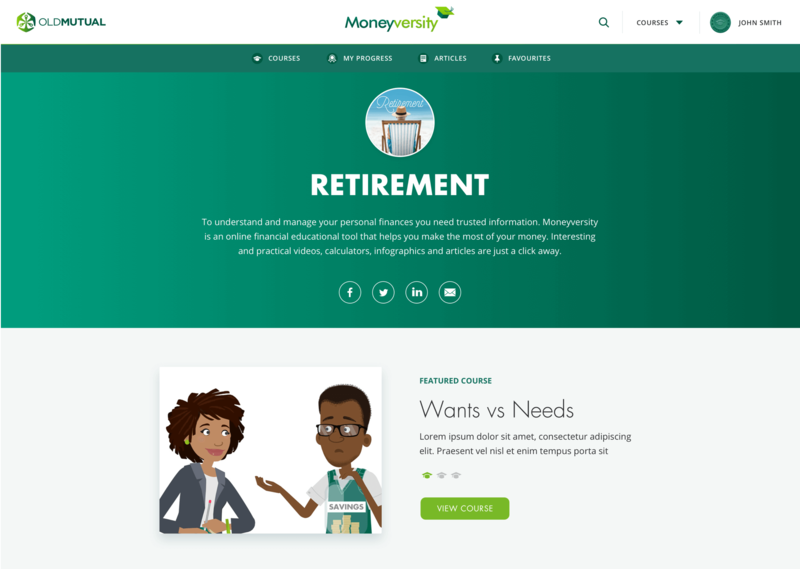 Moneyversity is an online financial educational tool that helps you make the most of your money. 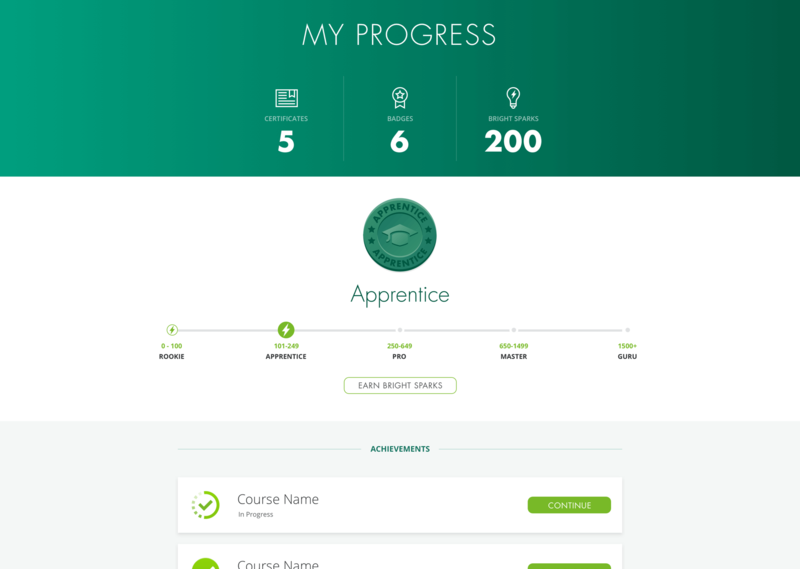 The portal contains practical videos, calculators, infographics and articles, and users are encouraged to take courses with continuous guidance and encouragement through subtle gamification. 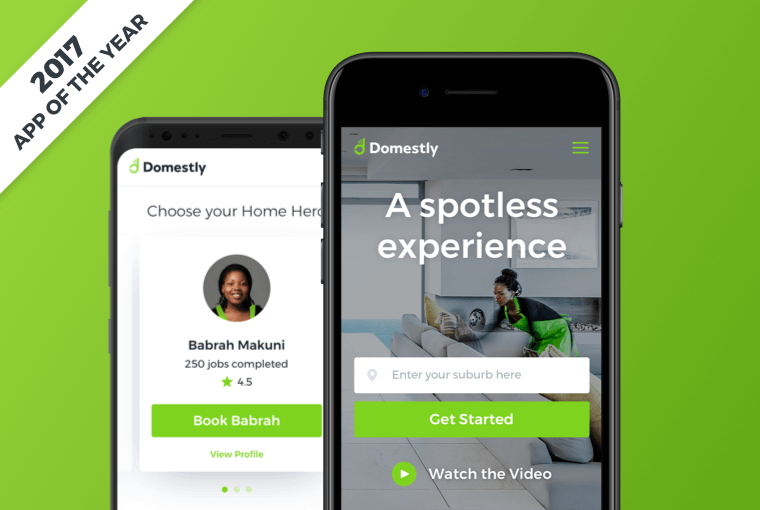 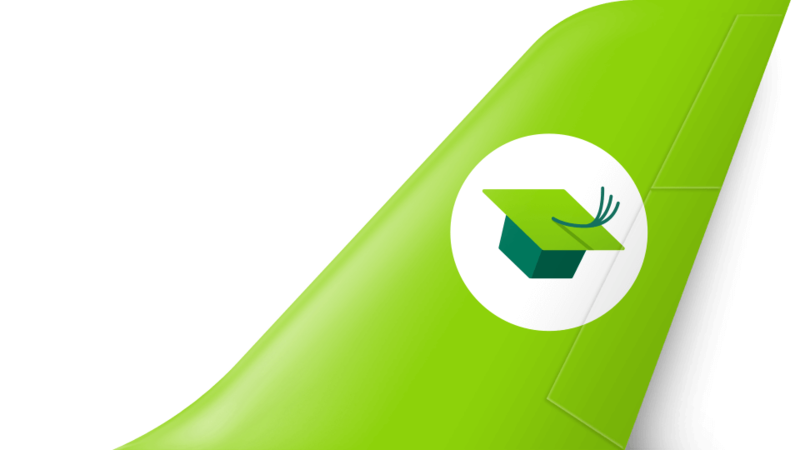 Now Boarding provided brand, UX and UI in collaboration with Sea Monster (Games and Animation Studio), as well as Know How eLearning (specialists in educational platform development). 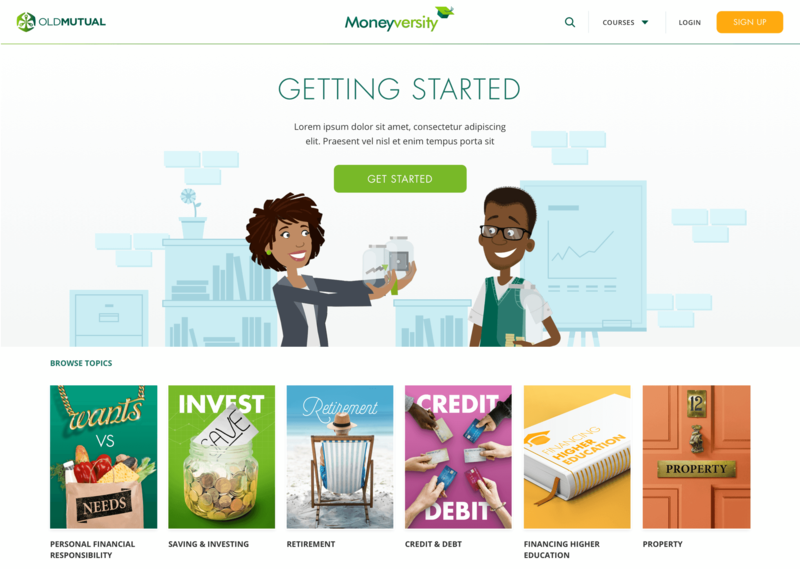 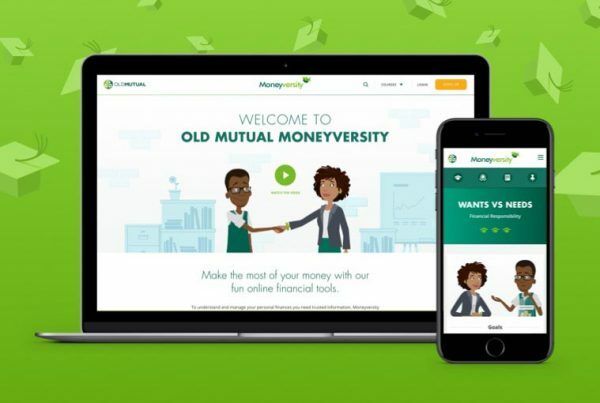 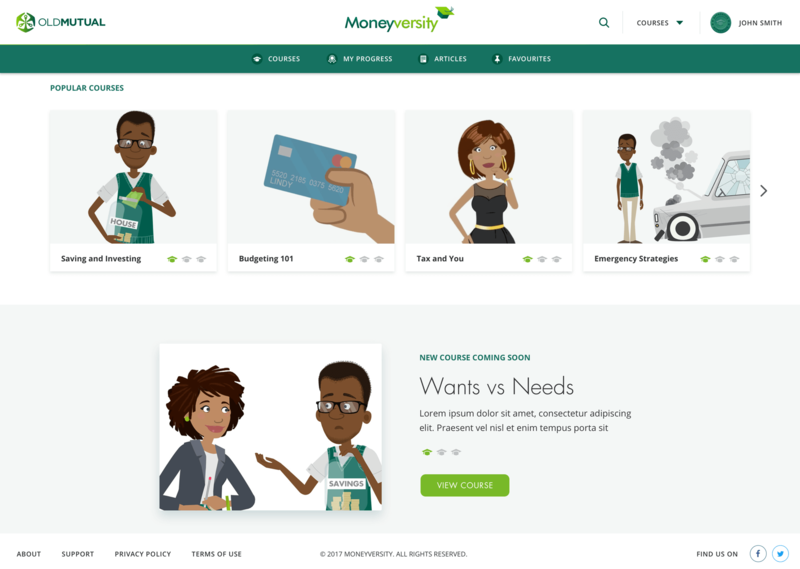 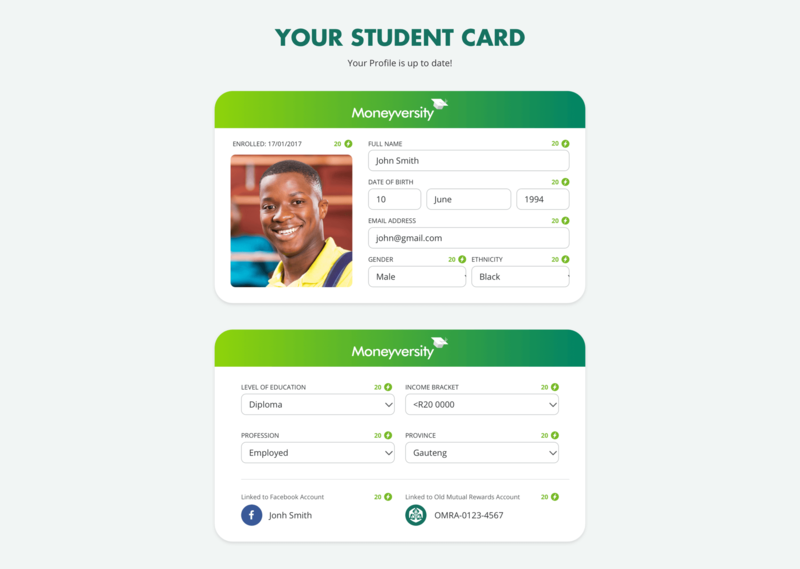 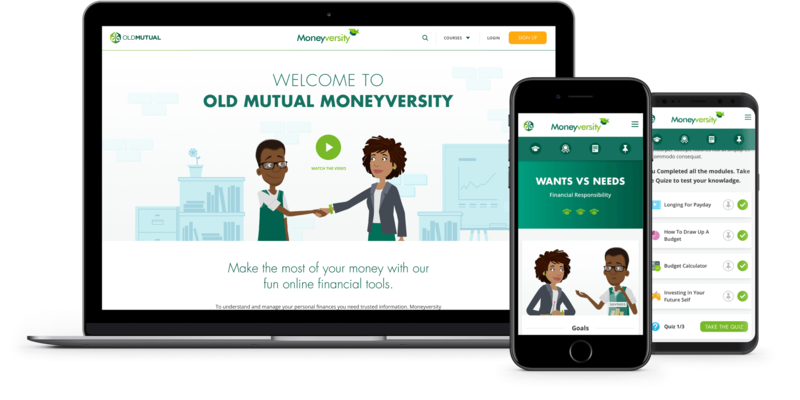 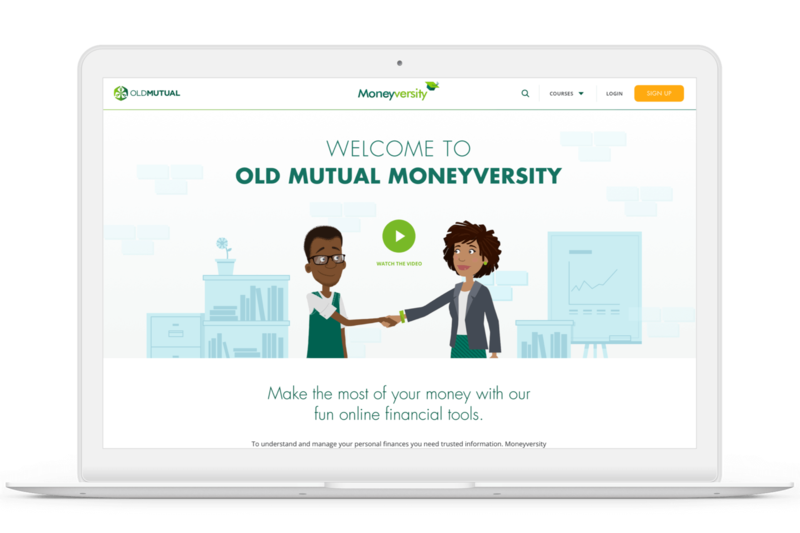 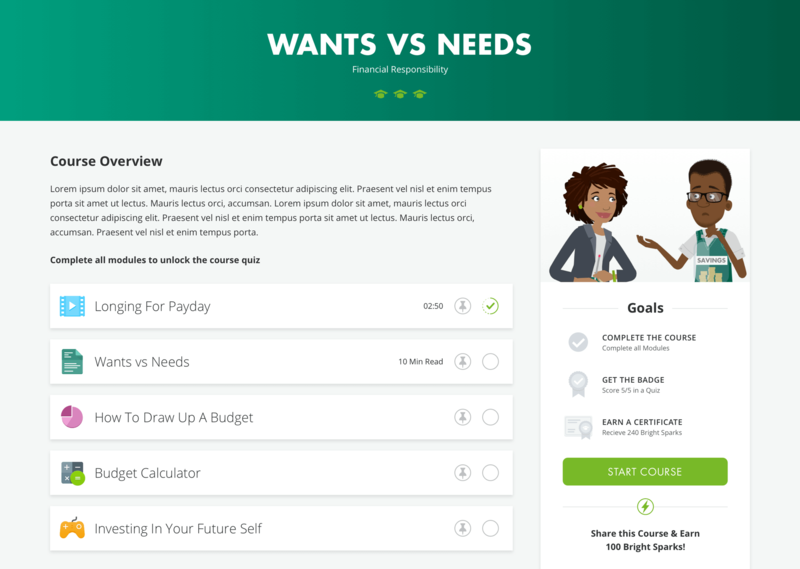 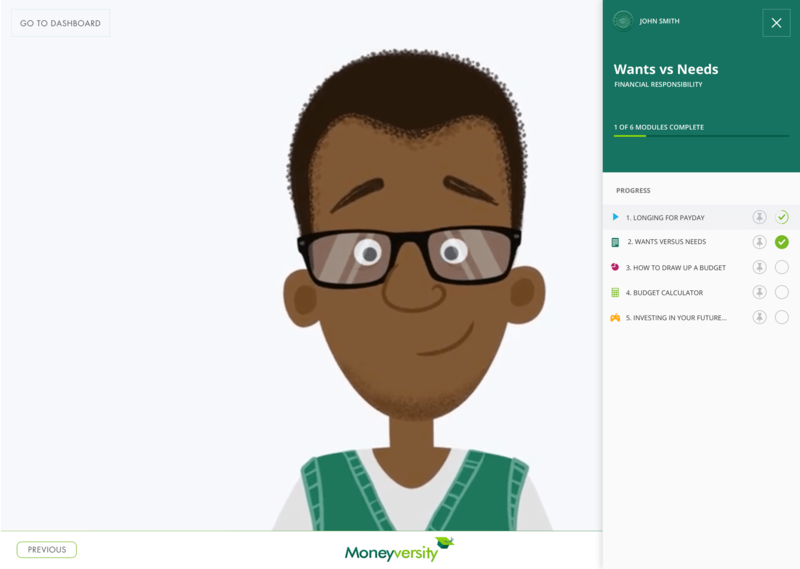 The Moneyversity brand was updated to a more contemporary, friendlier brand, including fun in-app icons. 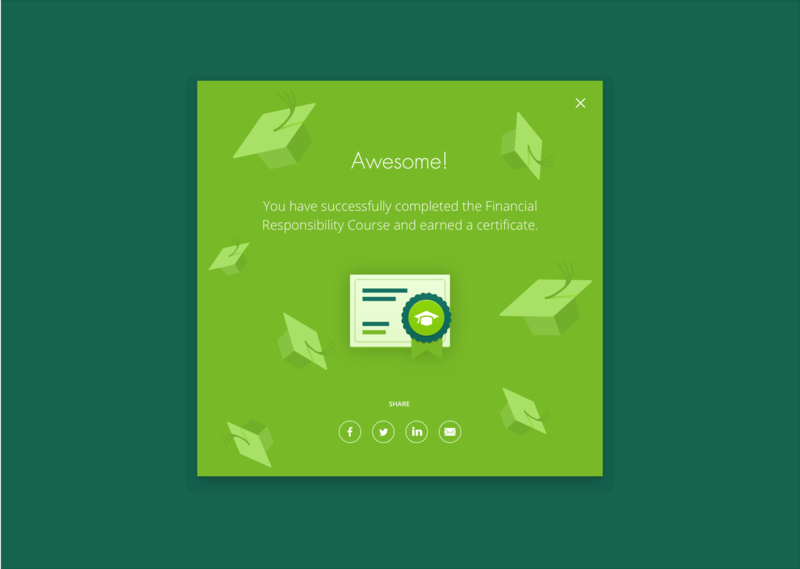 The progress of users through a course is a pivotable step by step process, ultimately ending with a series of quizzes, and with enough points, a course certificate. 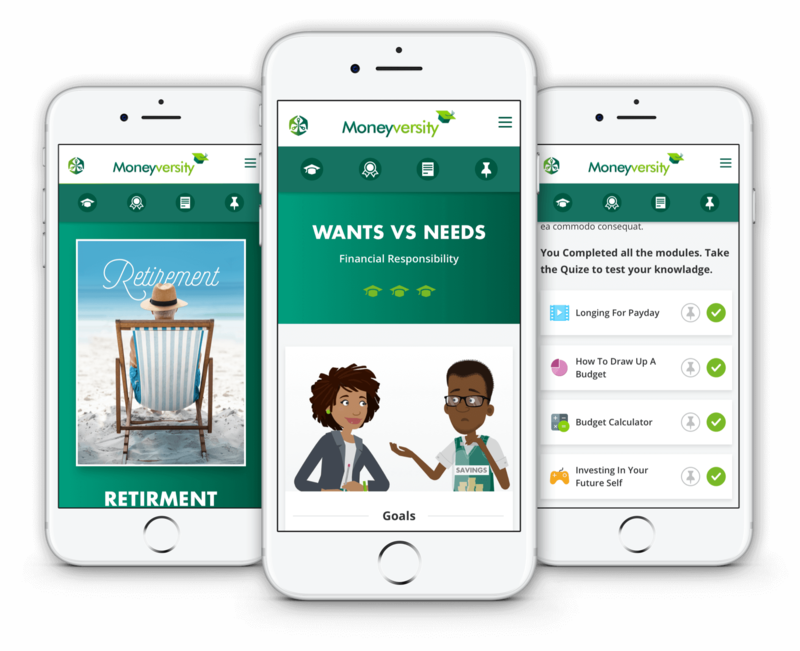 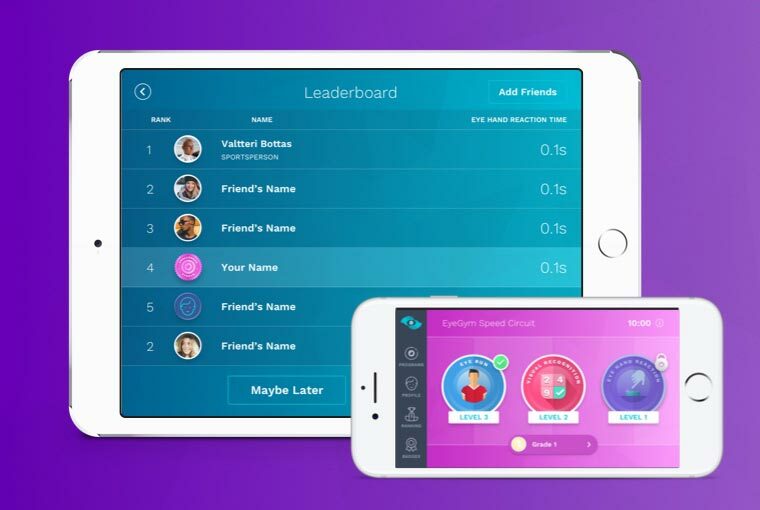 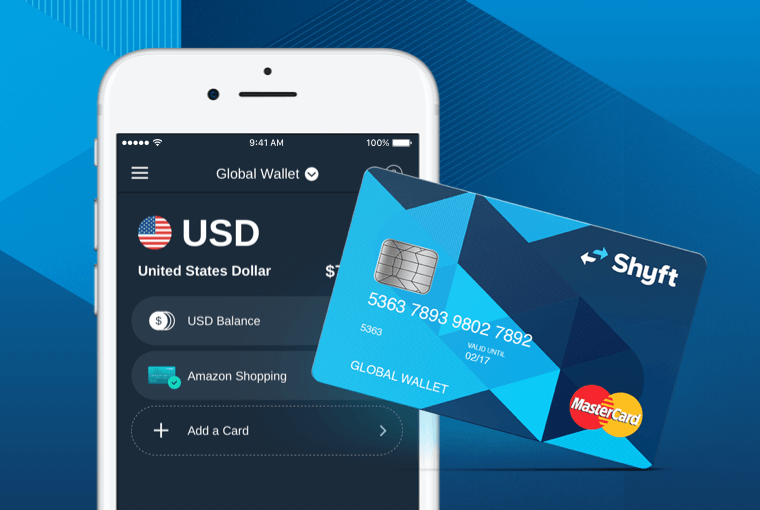 Users earn “Bright Sparks” as points, which count towards their ultimate status as a money guru!